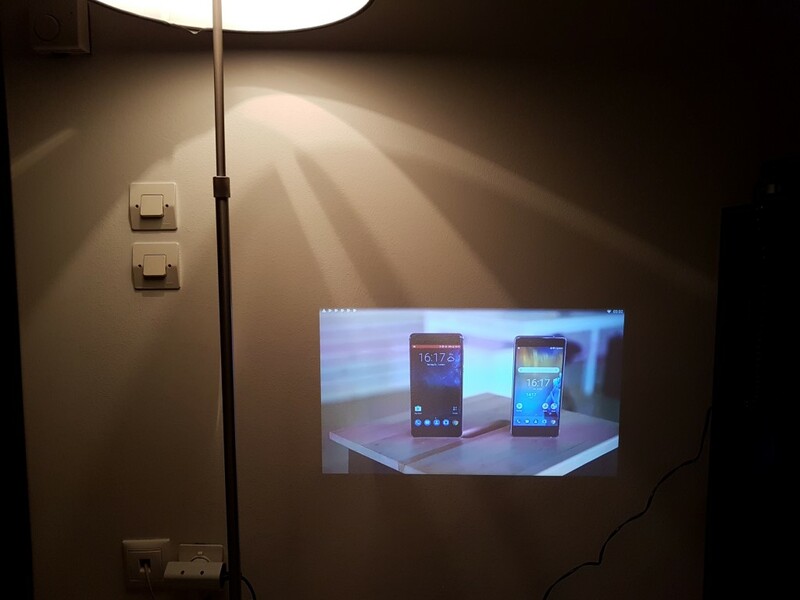 Gadgets are always nice and they are even better if they include both a media player and a projector! Toumei C800i is one of the many LED mini projectors you can find online but not many models promise a good contrast ratio and are as bright as this one. Let’s see how this one actually performs. Toumei C800i arrived in a relatively black box showcasing the device with an up close photo. Inside you will find the projector, a small tripod stand, a remote and the wall charger. Specifications are basic but enough to perform all major tasks. Rockchip’s RK3128 quad-core SoC is good enough to handle 1080p playback and for that you will not need more than the equipped 1GB of RAM. 8GB of ROM leave only ~5GB of free space available that is limiting the amount of applications you can install. In terms of image quality, the LED light source is from OSRAM (30000h of lamp life) and the image passes through ten layers of coated glass lenses. As always in these cases, the technology used is DLP from Texas Instruments with 854×480 native resolution, 100 ansi lumens brightness and 1000 – 2000:1 (promised) native contrast. Not bad at all. 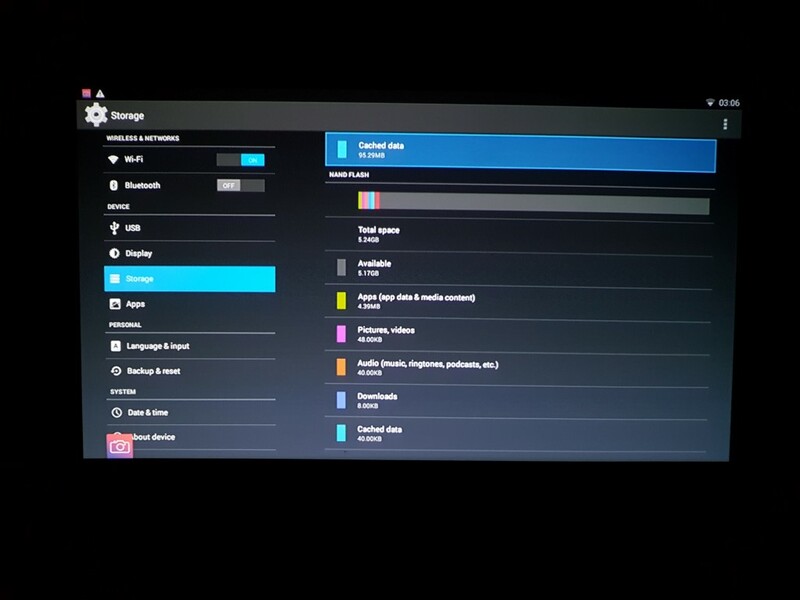 I/Os include 1HDMI IN port, 1x USB2.0, a headphone jack and a micro SD slot (up to 32GB). At least networking is great with wireless Dual Band support and BT4.0. Tumei C800i also sports an internal speaker and a focus ring. The internal Lithium battery is 4200mah in size promising more than 3hours of playback. Android 4.4 (KitKat) is the selected operating system. The projector itself has great build quality and looks. The chassis appears to be all aluminum and is all black with some nice aluminum touches here and there (focus ring, power button, edges etc.) It is relatively small in size and you can easily put it in the pocket of your jacket and take it out with you once it is charged. The construction appears to be solid and should last for long. Just make sure you won’t block the air grilles at the bottom. On the front you will only find the optical lens and the necessary air grilles and on the left side the focus ring. All major connections (HDMI IN, power, USB, microSD slot, headphone jack) are found at the back alongside the power and reset buttons. At the bottom you will only find the hole for the tripod which is an absolutely necessary peripheral for the proper use of the projector. Even though the hole was not in the middle of the chassis, we had no problem balancing the projector with the included tripod. The remote is basic with only the basic keys included, but this is probably for the best since the layout is simpler and easier to memorize. It comes in black and it is made of plastic. The grip is nice and so is its range but the biggest problem will most likely be you trying to remember that you will have to target behind you instead of somewhere near the screen. Toumei C800i uses a very basic user interface where there is actually no main screen. 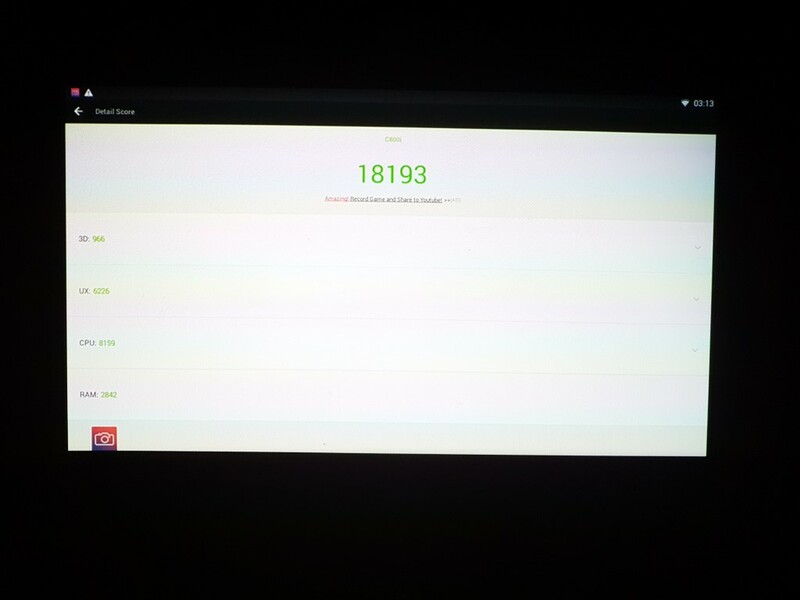 To be more precise, i have to say that the main screen is actually the applications screen. 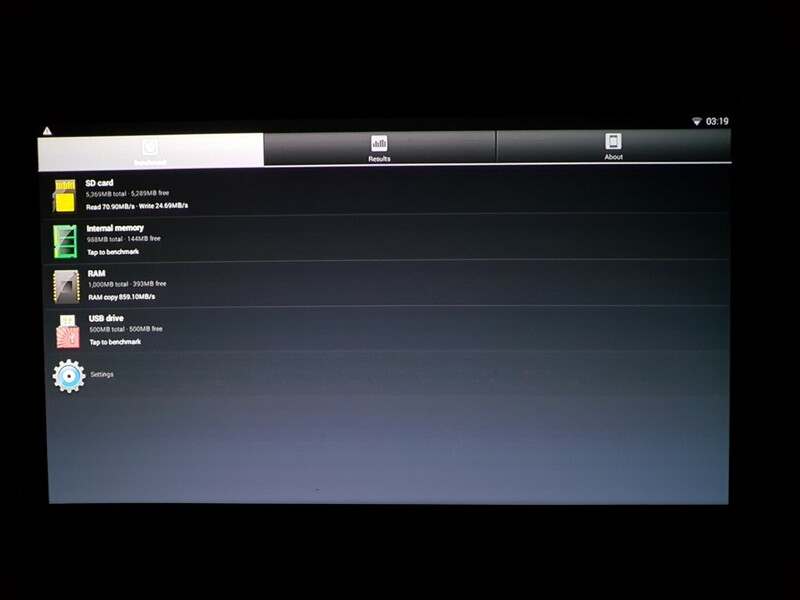 So once the device boots, you just come up with a screen that lists all the applications installed. It is probably a wise decision since we are dealing with a low-end SoC and only 1GB of RAM and any kind of modern user interface could ruin the user experience. Settings menu is the classic KitKat one (stock android) the only thing that you will probably have to set is the Wi-Fi connection. Toumei C800i is not a home cinema projector so such comparison has no meaning at all and will result in misleading and unfair results. After all, the C800 can probably do some things that the majority (if not all) of the home cinema projectors can’t. Its biggest benefits are portability and autonomy. 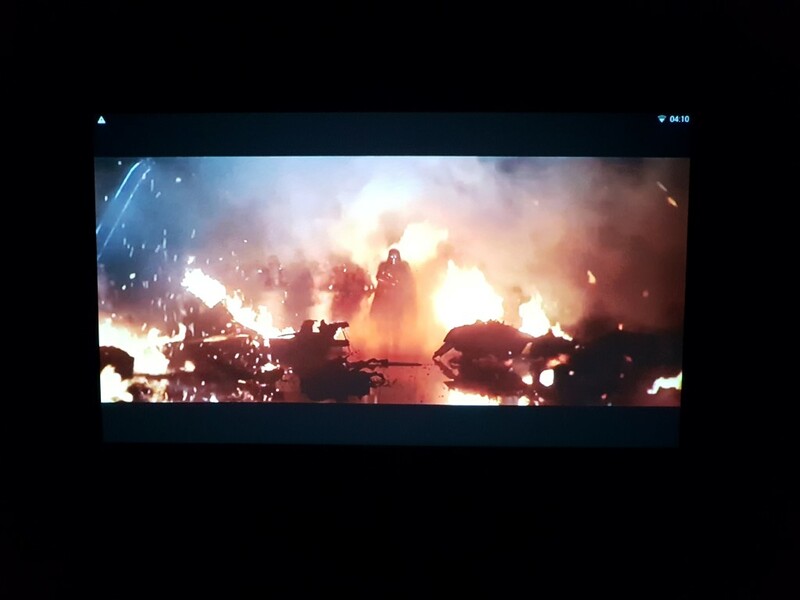 After the first charge, i used the dual band Wi-Fi connection to playback local 1080p video files using the latest available (and compatible with the 4.4 KitKat OS) KODI version. We were able to stream for ~160 minutes before the battery was depleted which is adequate for all movies, with the exception of Lord of the Rings series. If you are home, you can keep it plugged in while you are watching so autonomy/battery life issues do not apply. 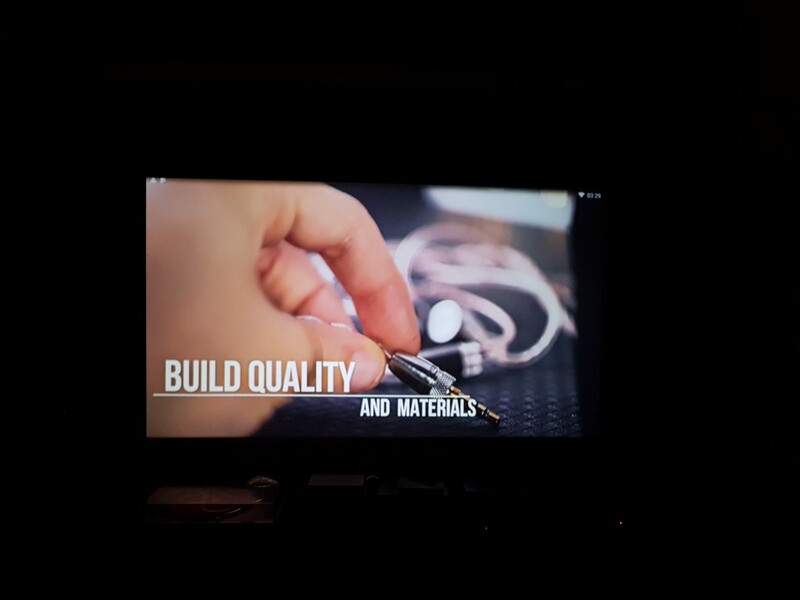 Other than streaming content from your local network (or USB), you have the option to connect a source to the HDMI IN port of the Toumei C800. 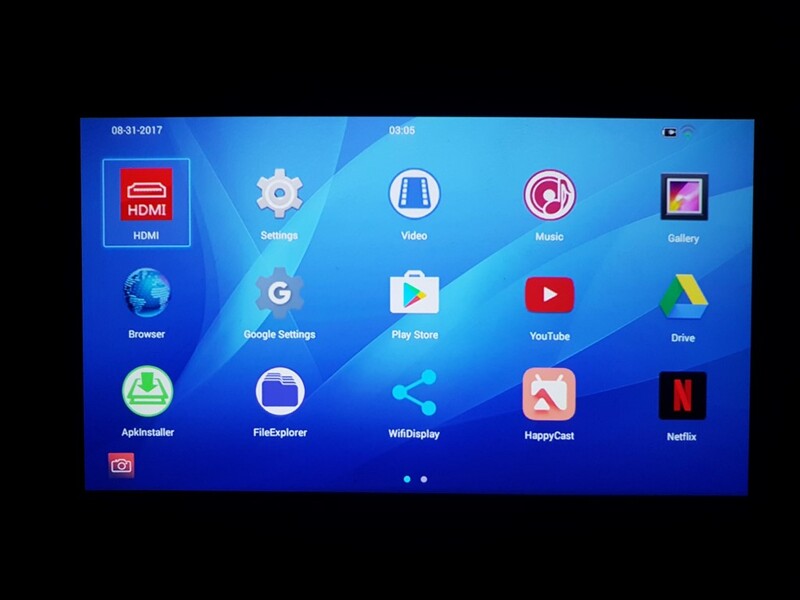 Fortunately, 1080p signals are supported so you are able to connect your Playstation, XBOX or TV Tuner and enjoy many hours of gaming and movie viewing. For sure many will buy this projector with that option in mind. Moving on to picture quality, I was impressed with the punchy image that was projected, making up for the non-HD standard resolution that was displayed. There are some image presets available, but none can claim to have anything close to a “calibrated” result. It is better to leave it to the default one since it produces a very enjoyable image. 60inch projection is probably the sweet spot for the native standard definition resolution since the image is not pixelated too much and is totally acceptable. 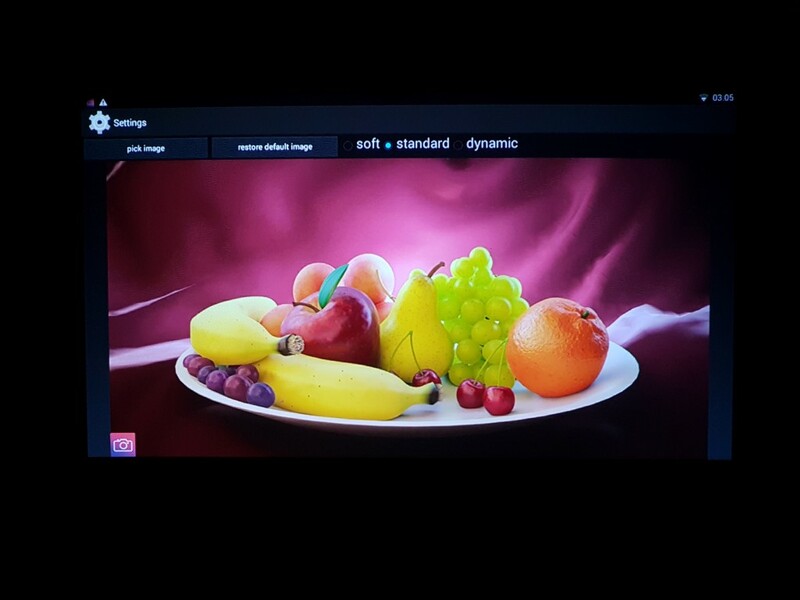 When I tried to fill my play room’s 88inch screen, the image was still enjoyable but too pixelated for my taste. Not a deal breaker though. Brightness was very good for a pocket LED projector. I don’t own any professional equipment to do related measurements so you will have to take my word for it. Just try to display to a room as dark as possible to get the best possible contrast and black levels. Since there is no keystone correction, the placement of the projector must be precise and here is where the included tripod comes in helping a lot by leveling the image to your wall or screen. Furthermore, the lack of optical zoom will require from you to place the projector further away from the screen in orfer to get a bigger image and this is not always possible. Almost two meters are required for a 86inch projection. Speaker performance is decent and loud enough to fill a quiet small room. The Dual band Wi-Fi performance was a nice surprise since it was able to stream 10 GB 1080p mkv video files with no buffering at all. Still overkill for a 480p projector since higher bitrate (or resolution) video files will have no effect to the projected image (distinguishing details between 720p and 1080p images was a hard task on ots own). Gaming is possible but you will have to stick with the simpler 2D/3D titles . I can probably understand why KitKat was selected. It probably had to do with the overall performance and battery life issues. Latest Android versions are much more demanding and that would hurt battery life, one of Toumei’s most essential features. Google’s Play Store is installed and you can install any application you like since I did not encounter many that where not compatible with KitKat. 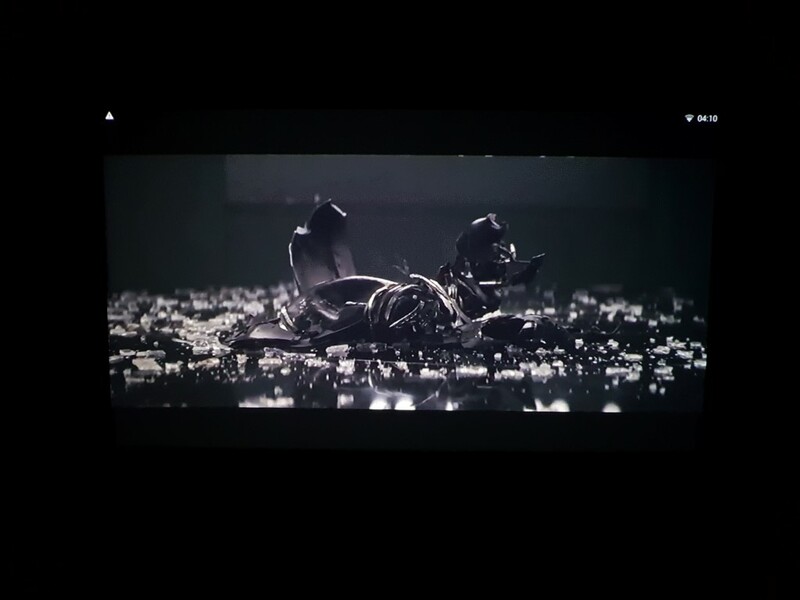 The only downside was YouTube performance and I am not referring to any playback issues since they are not any. 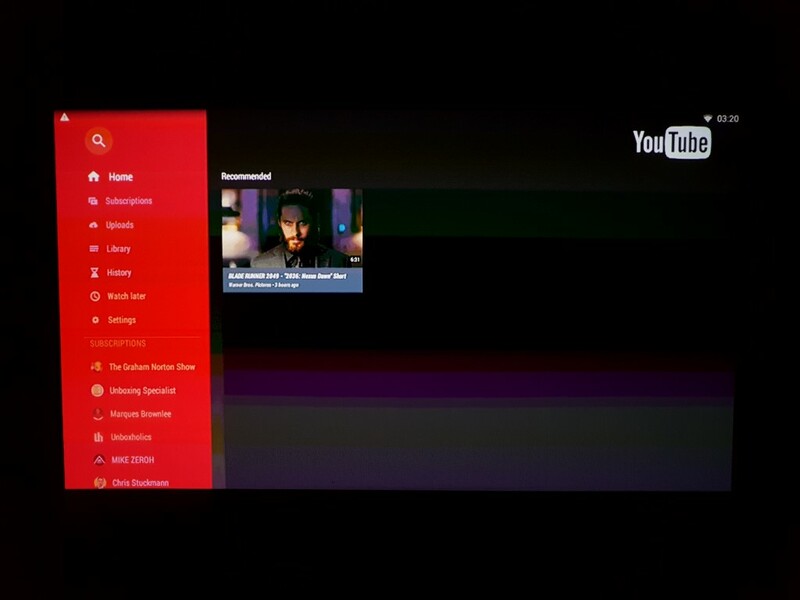 It had to do with the result of YouTube user interface and Toumei’s low native resolution that did not allow the video preview boxes to appear correctly, or appear at all! They were sometimes there, you could browse and select them but not see their content/preview! Other times you could only see and select only one video! An older version of YouTube could be compatible but I did not have enough time to search for it. Like I stated above, when you select a video, it will playback just fine. Toumei C800i is an amazing little gadget. It will not suit for home theater enthusiasts but it will do a great job projecting home videos, video games from your console or a football/basketball game from your tuner to a white wall. My daughter also appreciates it best when I let her watch her favorite kids movies to her white bedroom wall. Standard definition and non-calibrated colors don’t matter that much in these cases since enjoyment and large picture come first. It is quite cheap too, since it costs way less than 180$ and you can occasionally find it cheaper with the availability of coupons every now and then. If you need cable-free mobile projection on a budget, then the Toumei C800i will serve you extremely well with more than decent image quality and features.